The shot is shorter than you might think. It all begins in a small amount. But as a vtc owner you can't control what your members are doing. The only thing you can do is to give advice or in last consequence fire them from your vtc. I was co-owner of a vtc by myself and I'm still active in a vtc and a convoy guiding company (ConSec). And even there we have had occasionally some black sheep. 1 of those I identified by myself as he was insulting and reckless driving the whole time on our private trip. Well every collective punishment is sth like racism. You are punishing people, who didnt do anything wrong. Its always induviduals, even this are multiple players, it are multiple induviuduals. As VTC owner you have basically no chance to sort those players out, before they did sth wrong. Just imagine three of your VTC members troll around, would you like to be banned, too? Well, you did a mistake. You are reacting to them to much. Dont do this, this is the food for the trolls. Just report them ingame or via website. (at the website the report is guaranteed to be looked at) you cant ban the complete VTC. This is at the same level as racism. You have to ban every player indivudually. You dont want to ban an unguilty player! You just need to deliver a load to 5 different cities. It doesn't have to be the same freight. If you made a delivery to every city since the event got started, you just need 1 more delivery to brussel or any other city. Do you have the Italia DLC? If not you have to wait a few hours, as destination city is ancona right now. Well, if you follow to speed limits you dont brake any rules. But you arent intentionally block users. You also also arent allowed to block the opposite lane, if somebody tries to overtake you, even it is forbidden to overtake there in the first place. 1st: you arent allowed to use any Police items on your car, which gets you autokicked 2nd: you arent allowed to use any name or tag, that looks like you are an truckersmp stuff. Some example: Police, Admin, Moderator, Traffic Control, Security, etc (list not completed) isnt allowed. 3rd: you arent allowed to act like a moderator, etc. Espacially you arent allowed to manage the traffic. If you block the road for that purpose, it is bannable, even if you have good intentions. Its the job of the game managers to control the traffic 4th: you also arent allowed to use freecam constantly to report users. If you see someone braking the rules, while you are driving and then go into freecam to find the player again it is okay. 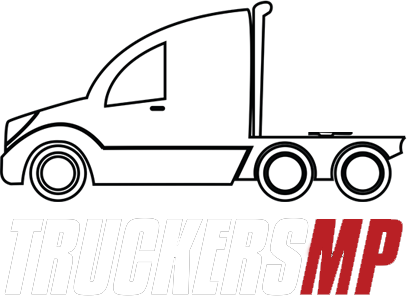 maybe you should read the rules again: https://truckersmp.com/rules here some rules, we are dicussing about: §1.5 - Inappropriate use of language, communication and impersonation of any kind ... Impersonating other users, staff members, political figures, law enforcement, leaders and authorities of any kind or acting like someone who is more superior. This can be through the way you drive, use the voice chat, your avatar, your license/interior plates, username and/or your in-game tag. Avatars, usernames and in-game tags need to be appropriate and cannot contain offensive content in any way and are not exempted from light insults. Your name must consist of only alphanumeric characters or else it will be changed by staff without notification. Linking or providing access to unsafe websites or content. §2.3 - Blocking* Restricting a user's travel path, blocking entrances to highways or other entry points or anything similar. §2.6 - Useless Traffic / Inappropriate parking* Repeatedly driving to and from an area of high population with no aim other than to cause more traffic. Parking or stopping in areas of high population for no reason. This applies to areas with 25+ users. Using the designated car parks is fine when there is low traffic in the area. §2.7 - Inappropriate Convoy Management / Car Abuse Convoy pilots are not permitted to slow down, block or control traffic, acting as a moderator and otherwise abusing the pilot scheme paint job. You are not permitted to take a convoy into highly populated area intentionally. This can include (but is not limited to) Calais, Duisburg, Calais-Duisburg road or surrounding areas. You can prepare popcorn for the next week. the destination city will be Brussels from Wednesday to friday. If the traffic jam is as long as in Bratislava the jam will cross over CD road. Have you forgotten the request to join staff? Usual answer: its the player not the vehicle.